Events – CHI-DELHI…Be a part of QUANTUM CHANGE !! BE A PART OF QUANTUM CHANGE!! Ritu Singh is a Complementary and Alternate Medicine Professional specializing in the field of Medical Hypnotherapy and Behavioral Resolutions using THETA Brain Waves and Regression Therapies. 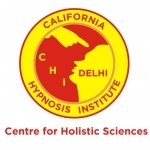 Ritu Singh is one of the Pioneer- teachers to train students in Hypnosis and Regression therapies and also studied Fertility Behaviour using Hypnosis and education tools, certified from Hypno Birthing Institute USA. Known for her past knowledge and experience of Communication and Counselling in Aviation Sector, Ritu Singh was invited on live shows on television channels like NEWS24 and LIVE INDIA to present healing modalities using various tools to access Subconscious path of clients to guide them, and on Pragya TV for spiritual Counselling. Ritu Singh has coached people from the field of pharmacology , business, clinical psychology, teachers, school going children, homemakers, to enhance their creative potential , skills for management and handling relationships, conducted workshops on Mind power and understanding behaviour patterns . Her association with Delhi Blind School will always be close to her heart. It gave her a chance to empower them using meditation and hypnosis with students of various vocations , and encouraged them to harness power of mind. Ritu Singh’s life got an uplifted purpose when she became practitioner and teacher of Theta Healing® modality. It widened her ambit of healing with an understanding that healing has Core, Genetic, History and Soul levels and healings can be Scientifically measured using subconscious energy testing methods and brain wave shifting, as healing is witnessed, on an EEG. She was invited by an eminent personality in Bhutan to teach practicing Buddhists THETA HEALING®.They were awestruck by the efficacy that they could embrace their faith with better understanding. ACCESS BARS and BODY PROCESSES gives Ritu an edge as she seamlessly weaves traditional philosophies with a dash of New Age perspective.Energy,space,consciousness is the Mantra she lives by and offers people through BARS Sessions and instant Body shifts through Body processes. Ritu Singh continues on her path with therapies and workshops, training school going children who come to her for improved focus and concentration, college students,for career choices, partners for relationship healings, people with weight issues; join her Rhythm to the perfect weight workshop. She conducts weekly classes for children to introduce them to Love of god and their natural Intuition. Her vision is Empowerment of every soul so that we all together can be a part of Quantum change.Her Buddha wisdom offers and encourage people to take first step towards empowerment and then complete every aspect of it.